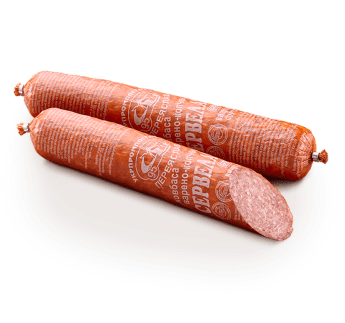 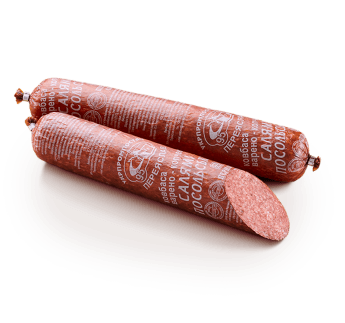 Bold pork (50%), premium beef (25%), lean pork (25%), salt, sugar, ground black pepper. Meat raw materials 96% (first grade beef, sausage spinal and side fat, lean pork), salt. Beef (75%), sausage spinal fat (25%), salt, sugar, ground black pepper. 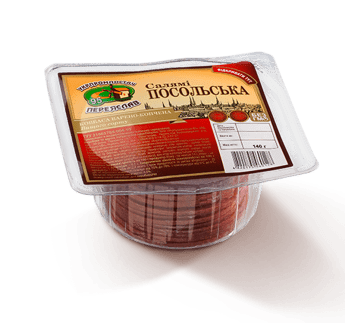 Meat raw materials 89% (bold pork, first grade beef, beef of the second category, sausage spinal and side fat), protein stabilizer from pork rind, salt.